You can get a car insurance quote on the AvivaPlus site. Check out our guide to the best car insurance policies. See if Aviva makes the list. Aviva launched its AvivaPlus cover in 2019 and says it's designed to fix the things people dislike about insurance. It offers three policy types, Basic, Regular and Premium. Basic includes third party, accidents, fire and theft. Its Regular and Premium policies offer comprehensive cover. Premium has higher cover levels and some optional features included as standard such as cover abroad and car hire excess. Both comprehensive policies include cover for glass and windscreens, a courtesy car, personal belongings and onward travel after an accident. However, Premium has much higher cover levels for some features, for example, it offers £2,000 of cover for personal belongings compared with £150 on the Regular policy. Many of the features available on the Premium policy are available as optional extras on the other policies. All AvivaPlus policies come with its uninsured driver promise - if your vehicle is involved in an accident caused by an uninsured motorist, Aviva will refund any excess you've paid. It also promises that you'll never pay more than a new customer on an equivalent policy to yours. AvivaPlus car insurance is only available direct through the company. Get a quote on the AvivaPlus website. 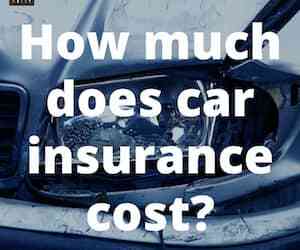 How much does AvivaPlus car insurance cost? AvivaPlus says its cover starts from £14.50 a month and it expects 10% of customers to pay this for Regular cover based on customers who bought its car insurance from September 2018 to November 2018. The price you pay will depend on individual circumstances such as your car, where you live, the cover chosen and your payment method. What do Aviva’s customers say? Because the AvivaPlus policy was launched in 2019 there are not many reviews of that specific policy. However, on Aviva's website it says more than 5,000 customers have given it an average score of 4.5 out of 5 for its past car insurance policies. On Feefo the company as a whole has an average score of 4.6 from more than 2,750 reviews. On Trustpilot, it scores 1.3 out of 10 based on over 850 reviews.